Just as words are so crucial to showcasing the active role of today’s dads as true and competent parents in advertisements, so are images – and realistic images say it best. 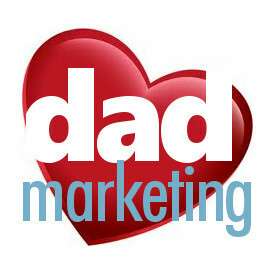 Smart brands should keep in mind authentic representations of dads in marketing. It’s true that those images of dads fishing, hunting, and working on cars are all fair and accurate, but so are those of dads cooking, shopping, and picking kids up from school. Even better images might be those of dad nurturing, holding, hugging, cuddling, and kissing – all semblances that portray relevance and authenticity of genuine, loving fatherhood. The latter are not just likenesses of what dads should become, nor do they represent a minority of dedicated dads – this is fatherhood today. It’s alive and well in every community around us. The modern father views himself as skilled and devoted to his household in every facet of family life. He’s not trying to replace mom in the way society perceived him and labeled him as “Mr. Mom.” He is dad and equal parent. He identifies as a parent in the same way a mom does – sympathetic, caring, and wants to have stronger, intimate relationships with his children far more than the stoic, unresponsive dads portrayed in the media. When marketers demonstrate these emotional bonds and challenges with parenting, it makes instant connections with customers. The need to reach a certain segment must be efficient.